This time of year, my absolute favorite items to shop are value gift sets for the holidays. I love getting bang for my buck, and value gift sets give you a chance to try a little bit of everything for a steal of a price. The following gift sets are perfect for any beauty lover, whether it’s from a brand they haven’t explored yet or one of their all time favorites. They usually include the best-of-the-best, coordinating products, or cult faves that are essential in any collection. Keep scrolling to discover ten holiday beauty gift sets that will make stellar gifts for the beauty lover in your life, or to add onto your own wishlist! Click the image to find the product online. 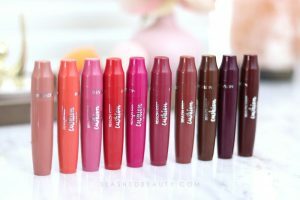 I may not talk about Avon super often, but I have accumulated several brand favorites over the years of trying their affordable, yet quality, products. This 8 piece gift set actually contains a few of them! Inside of a festive train case comes a few skin care faves from their Anew line— the Ultimate Multi-Performance Day & Night Creams, as well as the Supreme Advanced Performance Creme. Also inside is a bottle of the Rare Pearls Eau de Parfum, a fragrance that’s a little musky yet sweet… perfect for this season! You get a little bit of a bright floral feel while its rounded out with plum, honey, and bottom notes of pearl musk and sandalwood. 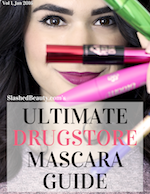 Finally, we do get 3 makeup items that I’ve personally used and love! The True Color Nourishing Lipstick in Berry Sangria is a gorgeous shade for the holidays— bold but very wearable and with a moisturizing formula that’s easy to wear for hours. The True Color Eyeshadow Quad in Mocha Latte has a great neutral range for every day looks, or smoke it out for a nighttime party eye. The shades are buttery smooth and blend effortlessly. The True Color SuperExtend Nourishing Mascara offers length and separation in a formula that never flakes or clumps. This set has a little bit of everything for your entire routine… perfect for makeup beginners or pros alike. Brush Cup to store everything! A total of sixteen on-trend eyeshadow shades and three glowing highlight powders? Yes please! This set includes three palettes that are perfect for travel. Don’t be fooled by their small size, because the pigment packs a punch! Included is the Spotlight palette with three complimentary highlighting shades: two shimmer-finishes and one mega sparkle for the drama! The full-size Cover Shot Eyeshadow Palette in Ablaze is full of warm “desert-inspired” shades. The limited edition full size Cover Shot Eyeshadow Palette in Sultry leans more mauve with pops of plum and gold. It all starts with a strong foundation, and I’m talking skin care! This set from FOREO is a great introduction to what the brand is all about. In the keepsake travel bag, you get a LUNA play cleansing device, which uses silicone to remove dirt, oil, makeup and dead skin cells. Use it with the included Day Cleanser to awaken and purify skin, and the Night Cleanser to wash the day away. Your brows are about to get a whole lot fleekier. This set includes brand favorites from Benefit— everything you need for sculpted, beautiful brows. Available in Light 02, Medium 03, and Deep 06, the kit comes with a mini BROWVO Conditioning Primer, a full-size Precisely My Brow Pencil, and a full-size High Brow Highlight & Lift Pencil. This routine can get you naturally shaded brows, or give you the power to go bold. It’s all in the application! What beauty gift sets are on your holiday wish list?